GIORGIO ARMANI Fluid Sheer: A liquid highlighter seems to be just the thing for the colder months to keep my complexion warm and glowy. DECLEOR Harmonie Calm: When the weather gets colder, skin often gets drier, so a good moisturizer is important to keep skin plumped and healthy. BOBBI BROWN Long-Wear Even Finish Foundation: Because I think I might like to go with a little bit more coverage now that summer is over. This one has come highly recommended! BOBBI BROWN Lip Gloss in Tea Berry: Can you ever have too many pinkish lip glosses? In case you weren't sure of the answer to that question, it is a resounding no. RMS BEAUTY Lip2cheek in Demure: I am intrigued by this convertible color that would be great for keeping in my bag for lip and cheek touch ups on the go. GUERLAIN Meterorites Pearls: I have been wanting to buy these for years. Apparently they make you look airbrushed and fabulous. Maybe it's time to bite the bullet? BOBBI BROWN Rich Lip Color in Uber Beige: This looks like the perfect everyday shade. CLE DE PEAU BEAUTE Concealor: No, I haven't been entirely dissuaded yet. 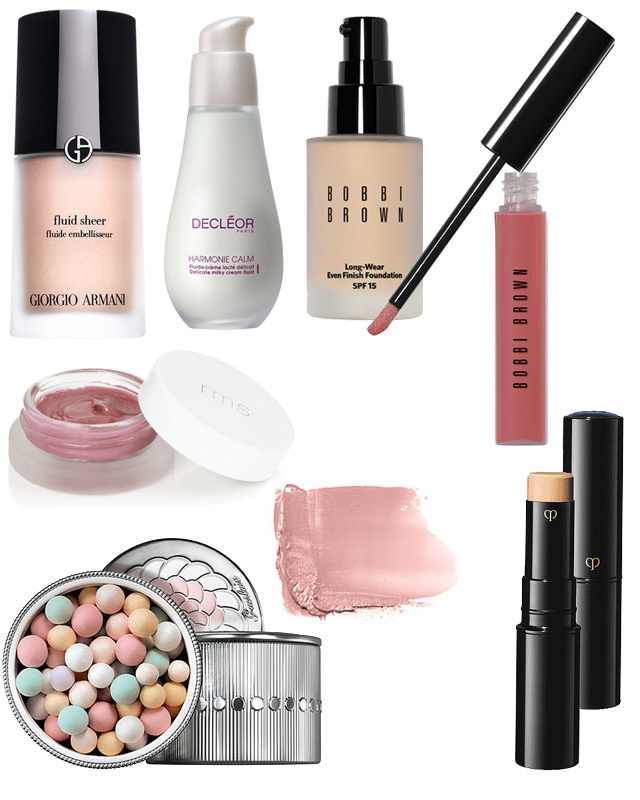 What's on your beauty wish list or what are you using that I can add to mine? Do share!